What do you think of this Smart Paint Roller? 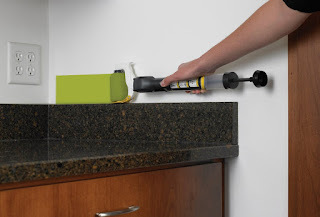 Eliminate the mess of a paint tray by adding the paint directly into the handle of the roller! Makes prep work easier and more enjoyable by eliminating hours of taping and cut-ins. It’s a 3-Inch roller with adjustable trim tool for clean edges. Easy to load and easy to clean. BONUS QUESTION! Who has the best price? Today it is definitely the US Amazon site at 38% off!